Move beyond “out-of-the-tube” color and learn how to mix any color imaginable! 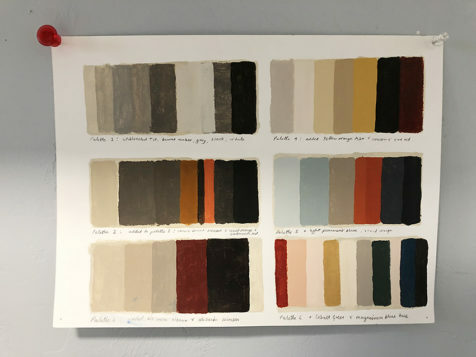 The class will create expressive color using both traditional and contemporary techniques. Using paint and small-scale canvases, we will explore our findings through free-form abstraction. The class will begin with creating individualized color charts and quickly move on to more expressive work. Each student will have the opportunity to work on four small (8” x 10”) acrylic paintings. We will look at the properties of paint and color, attempting to appreciate and recognize gradations of light and dark, warm and cool, opaque and transparent colors. While favoring a more intuitive rather than scientific approach we will touch on the language of color: Chroma, key and hue. Discussion and critique will be an important part of the workshop as a way to explore the artistic process. This class is perfect for beginners, those who would love to paint but are afraid of color, and more experienced painters who would like to find new approaches to color mixing and abstract shape making. Upon registration, students will be provided with a list of materials to bring to the class averaging at about $50. 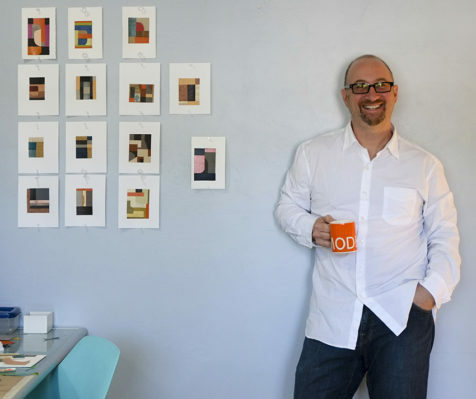 Andy Burgess is a London-born painter, collagist and photographer now living in Tucson, Arizona. 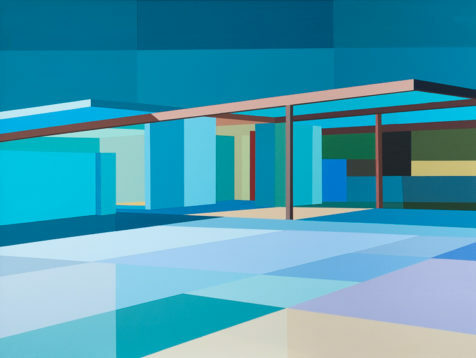 Burgess is known for his panoramic cityscape paintings and highly colorful renditions of modernist and mid-century architecture. Represented for many years by The Cynthia Corbett Gallery in London and at Etherton Gallery in Tucson, Burgess has exhibited with galleries in San Francisco, Laguna Beach and New York. Burgess’s work can be seen at many prestigious international art fairs, including Art Miami and Art New York. In February 2018 Burgess’s solo exhibition, Mid-Century Perspectives will open at the Tucson Museum of Art and the first major monograph of his modernist house paintings will be published by Nazraeli Press.